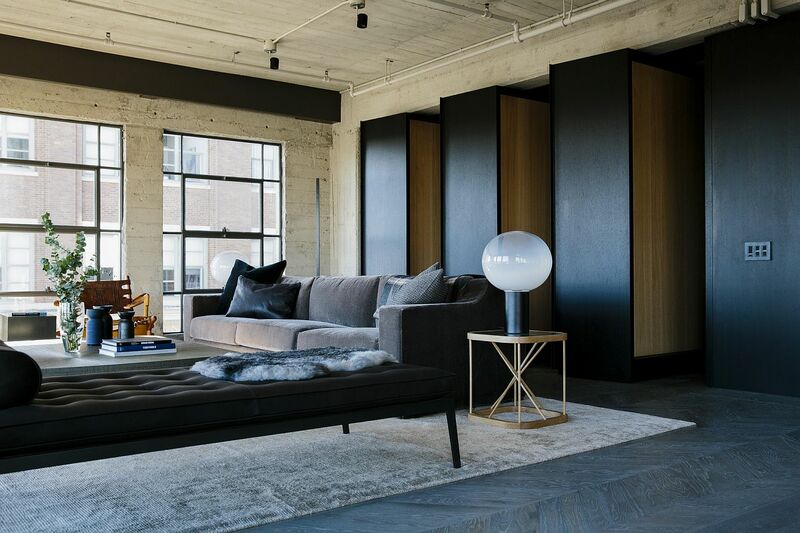 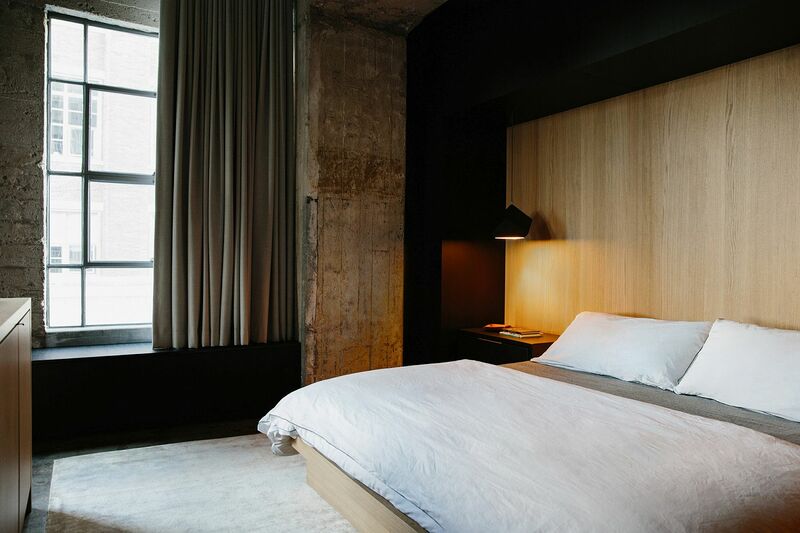 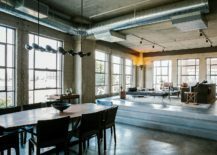 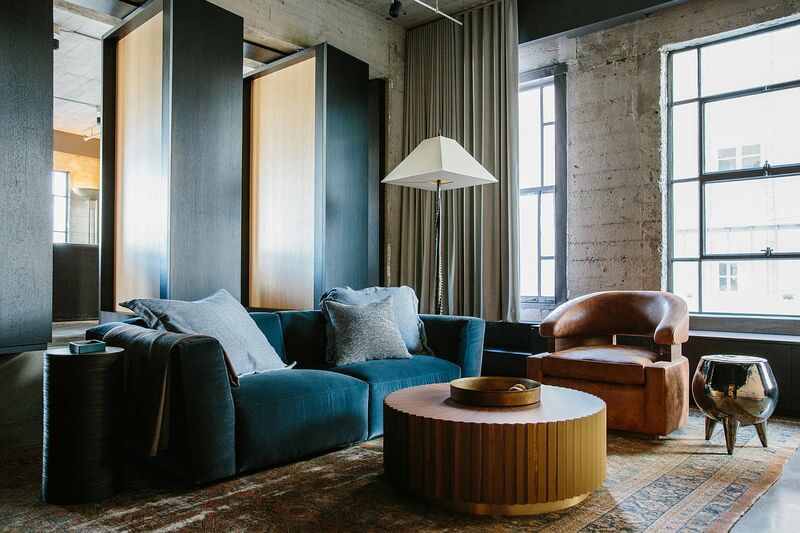 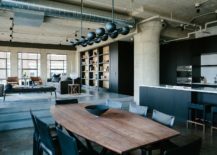 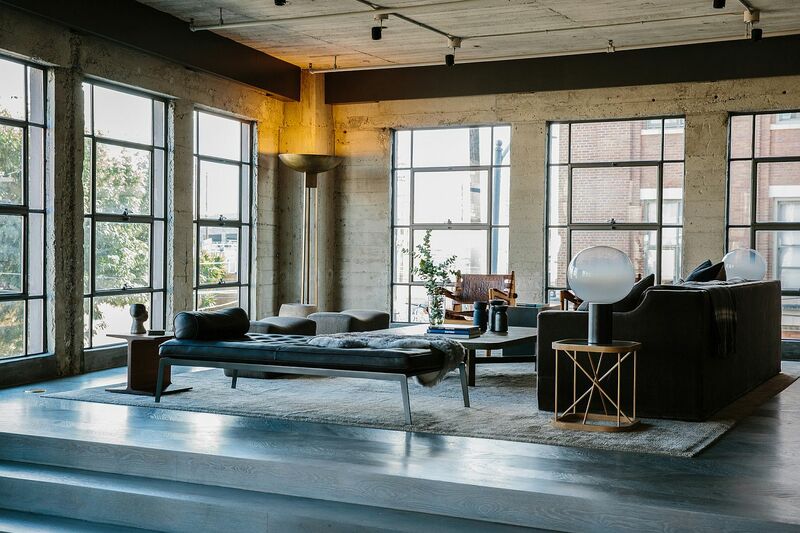 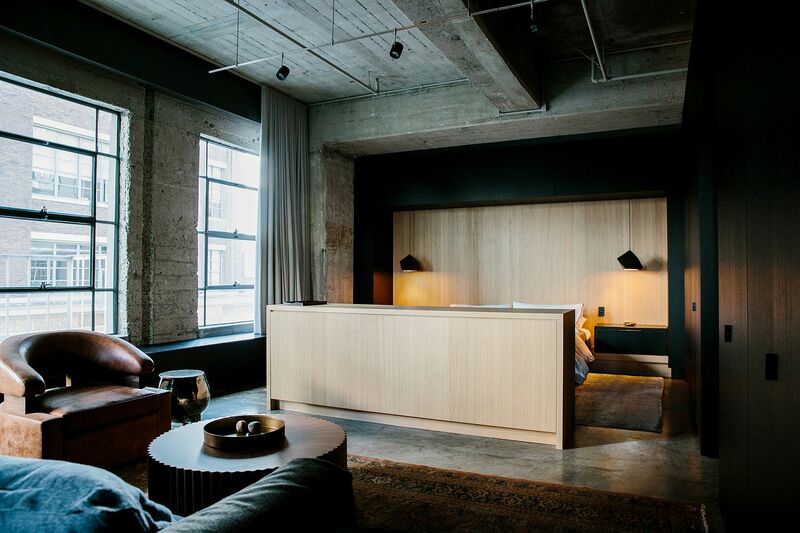 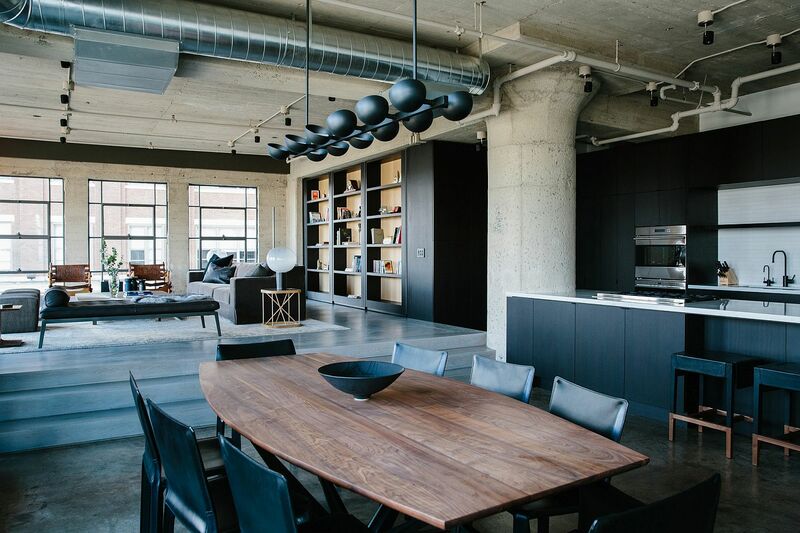 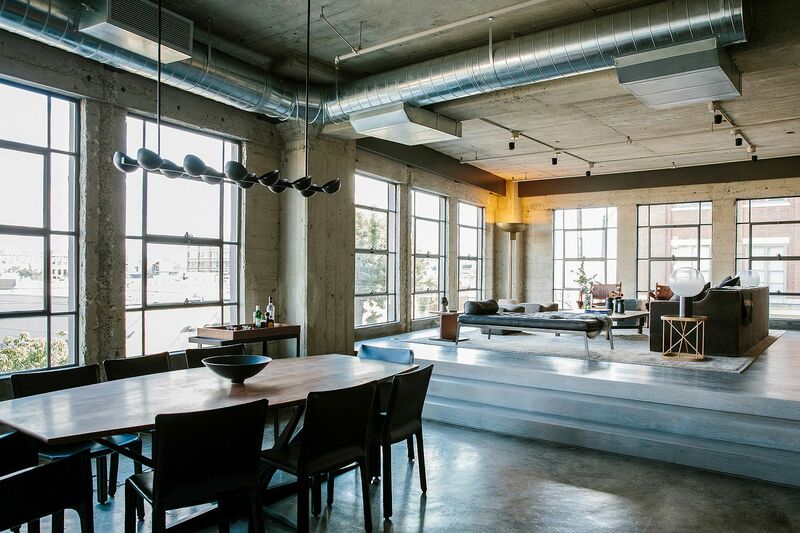 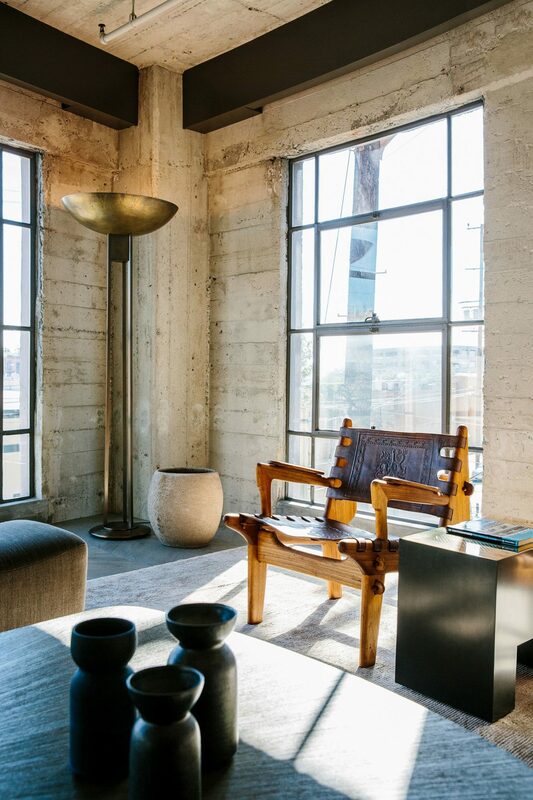 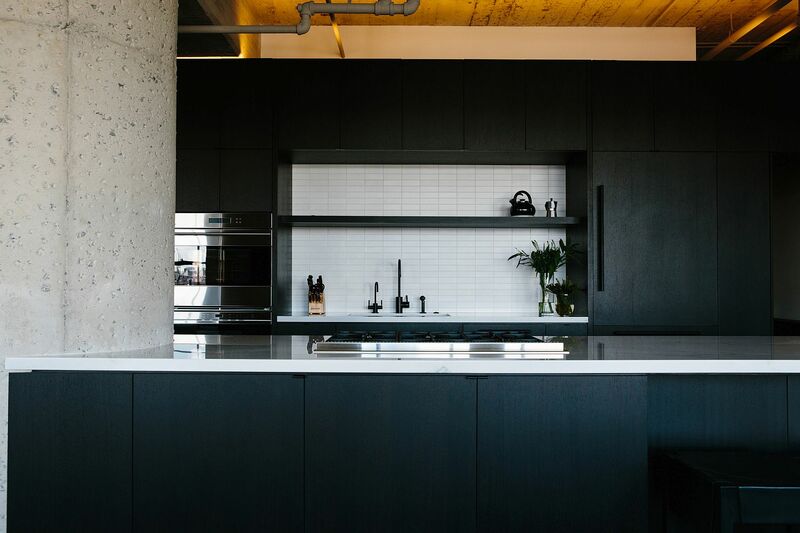 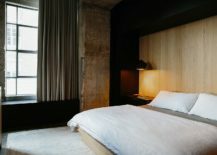 Rugged and yet polished, stylish and yet surprisingly understated, practical and still pleasing, the Arts District Loft is many worlds in one. 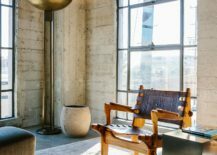 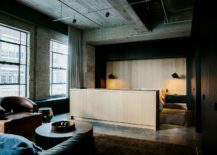 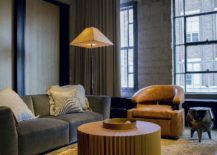 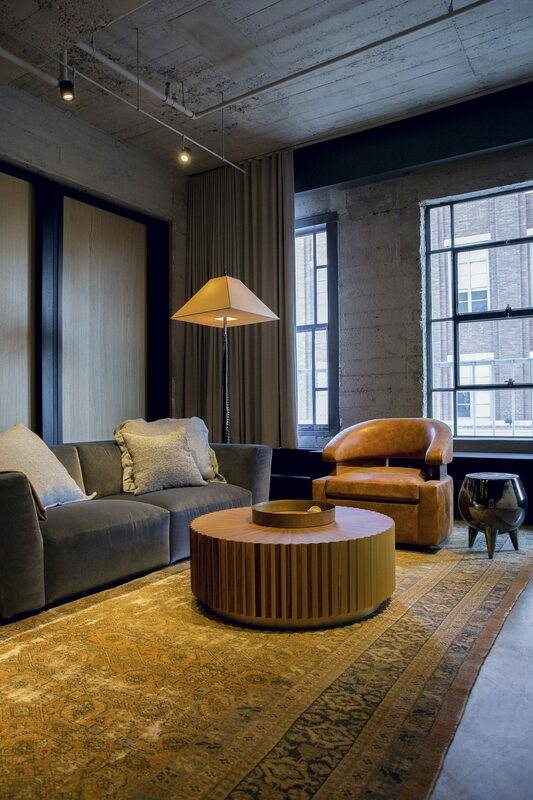 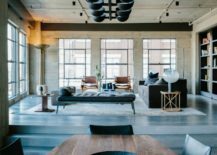 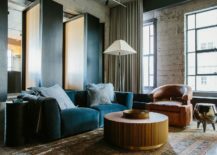 A 2,000-square-foot loft in a warehouse from the 1920’s, this dashing modern industrial is nestled in Downtown Los Angeles and draws you in instantly with its dark, flamboyant vibe. 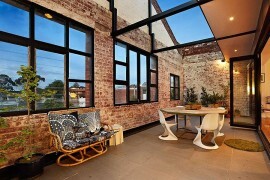 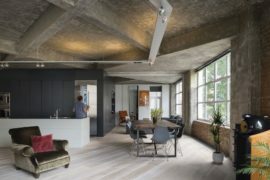 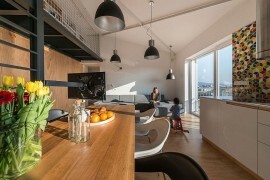 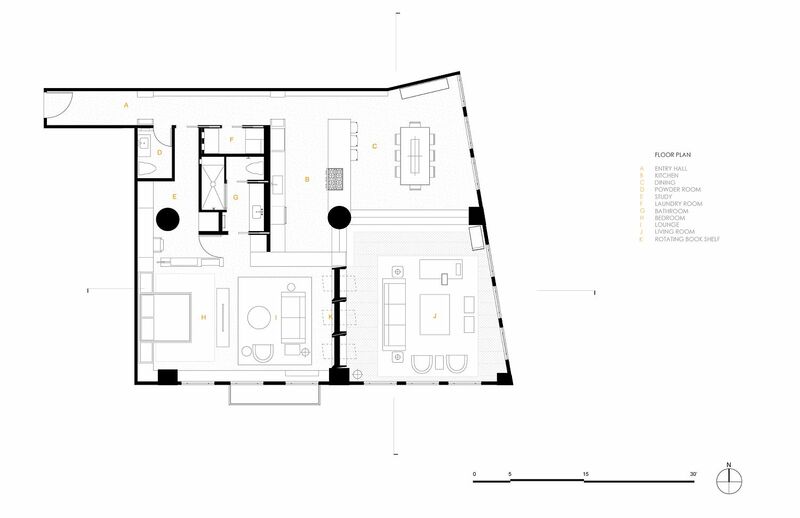 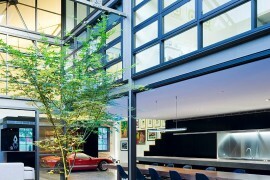 The open living area of the loft sits on an elevated platform when compared to the dining area and kitchen next to it. 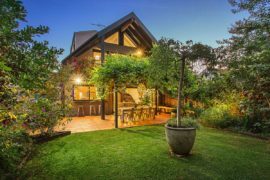 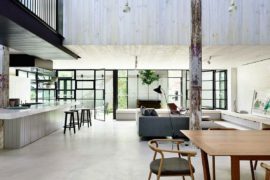 Existing partitions of the loft are done away with and every space inside has been revamped and redone to give it a contemporary sheen. 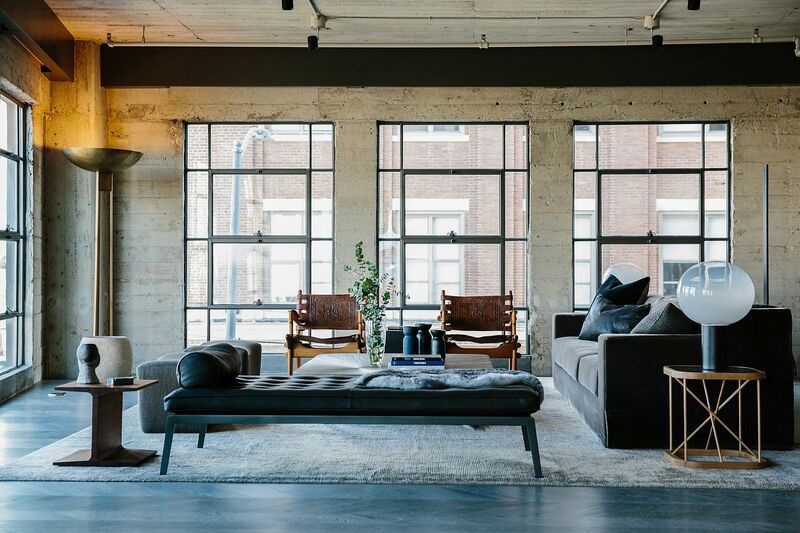 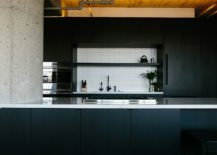 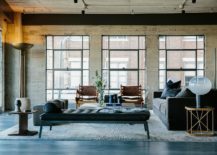 Yet, a distinct industrial undertone runs throughout thanks to the concrete flooring, walls, exposed duct pipes and large, industrial-style windows. 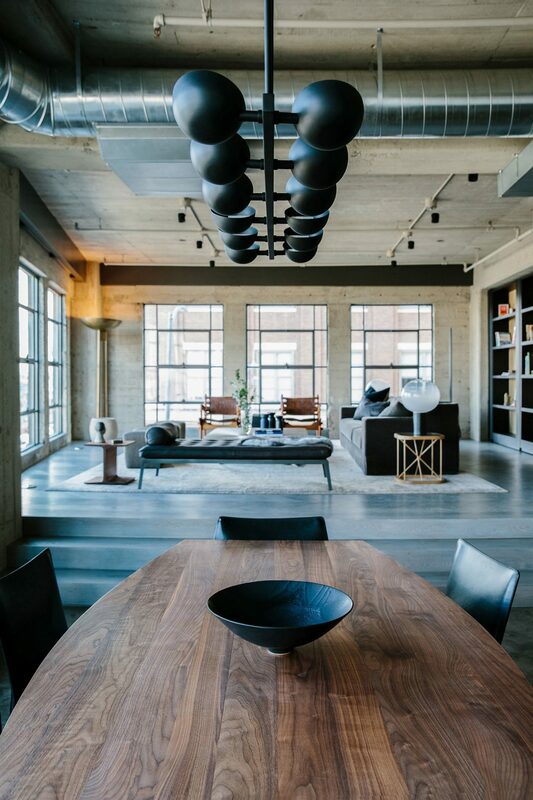 The undoubted highlight of the loft revamped by Marmol Radziner is the series of floor-to-ceiling custom bookshelves that separate the living room the large, altered master suite. 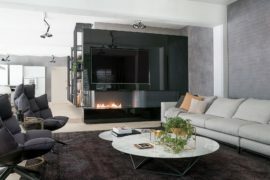 These distinctive bookshelves rotate 90-degrees and also offer comfortable sitting on the master bedroom side of things! 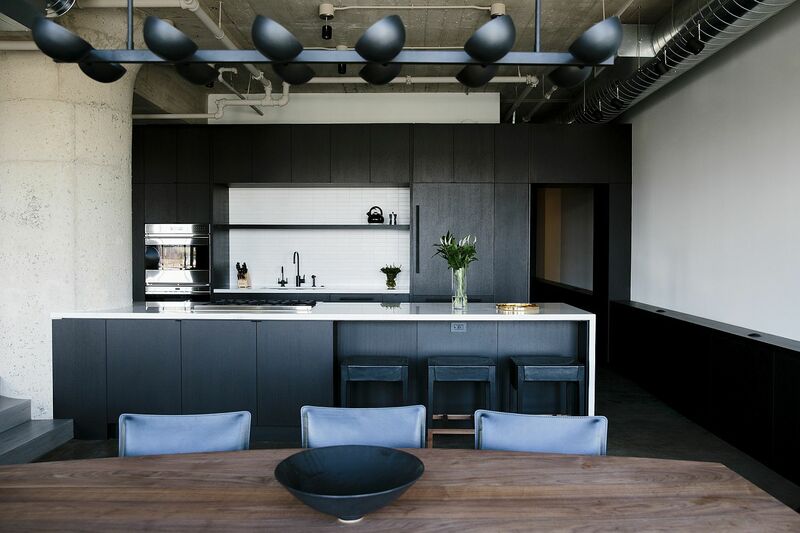 But the apartment has much more to offer than just striking bookshelves with unique lighting fixtures in black that complement its industrial style, a kitchen that is draped in black and gray along with a contrasting white backsplash and a bedroom that is minimal, inviting and a touch masculine.